Our famous Daily Greens formula contains herbs that have been known to strengthen & rejuvenate the body for centuries. With its high vitamin & mineral content, it gives sustainable energy & is a great replacement to any ‘multivitamin’. These herbs have been treasured throughout the years for their high concentrations of Vitamins A, C, B, B12, D, E and K, as well as enzymes, chlorophyll and trace minerals. 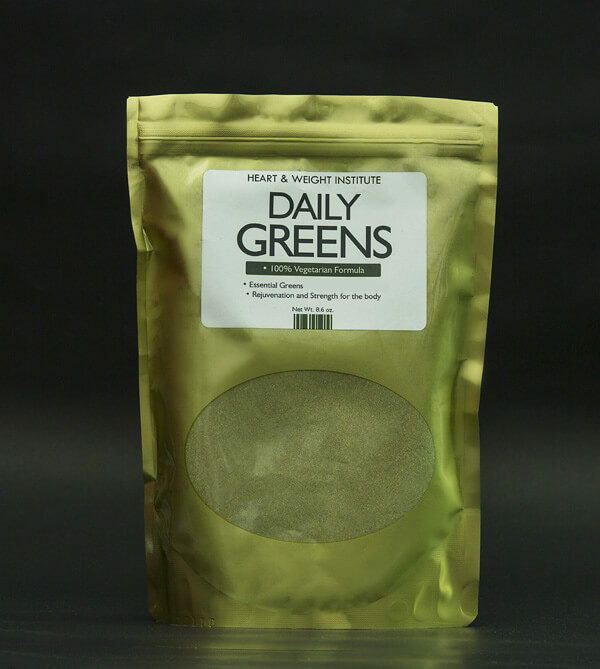 Try our Daily Greens for 30 days, you’ll love the way you feel, but just a fair warning… feeling great can be addictive! Powder – Take 1 tablespoon daily in juice or water. Increase as needed.